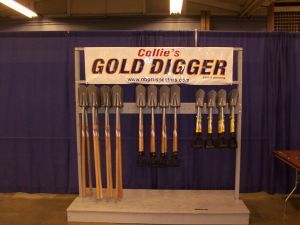 This is the new gold finding tool invented by one of our club members. 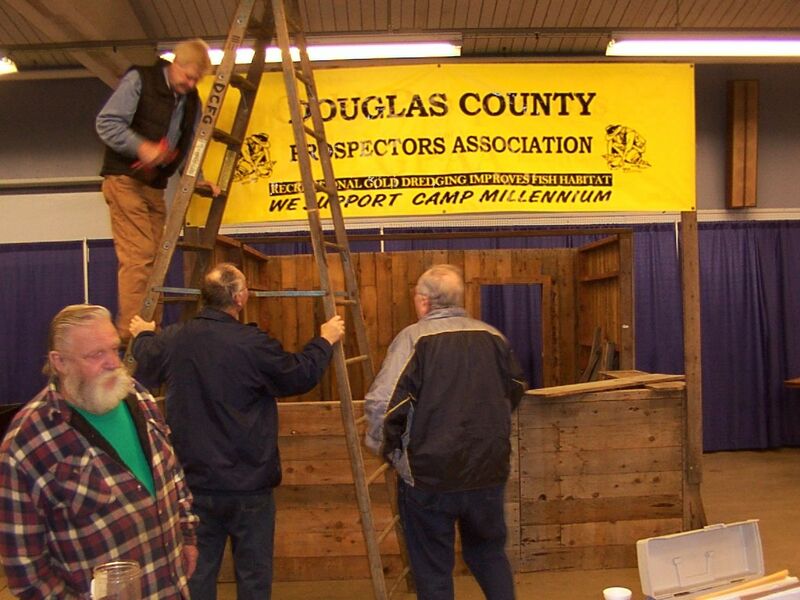 This is the display for the new classifying shovels, invented by a member and built by the members of the North Bend Prospectors. The shovel has been narrowed to 4" and a plate welded on the back so material will not run out prematurely. 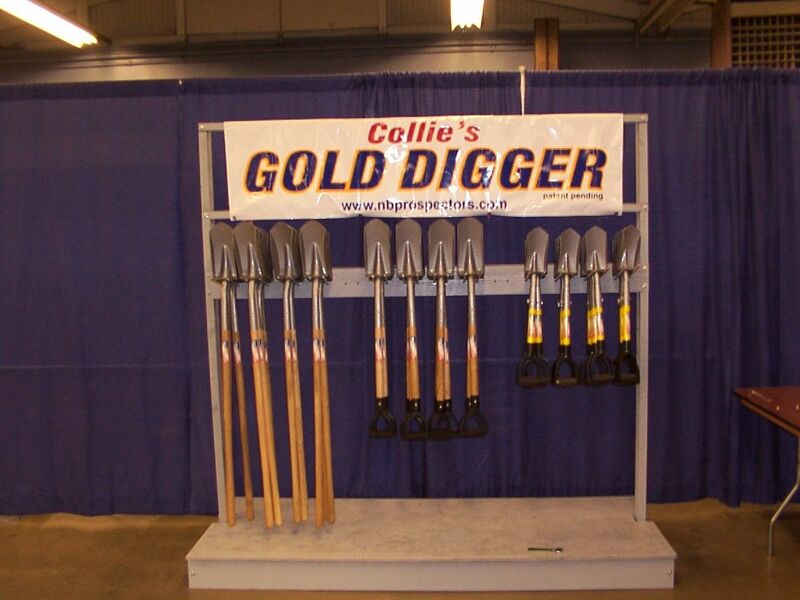 There are 3 varities of shovel displayed. All have been narrowed to 4" to classify material as you dig. The smallest one comes apart to put in a backpack or it can be used as a hand digger. 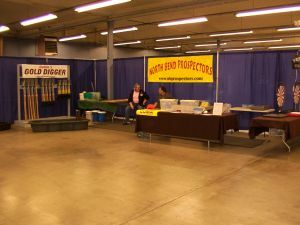 This is the display at the Puyallup Gold Show. note the pink shovels on the display. The Hooters girls sold these to raise money for the Breast Cancer Foundation. 3 Hooters girls posing with President Bob Baldwin at the show. 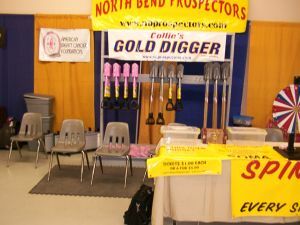 We sold a lot of pink shovels thanks to the girls and the cause. 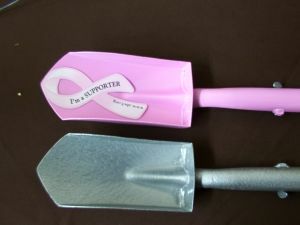 Thanks go to all the people who purchased a pink shovel. 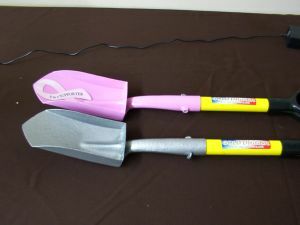 This picture shows the backpack shovel and the pink shovel. Note the sides and back. Dirt will not fall off the shovel when digging in the water. Here's a closeup of the shovel head. These shovels are 4" wide and will push bigger rocks aside while getting to the smaller gravels. 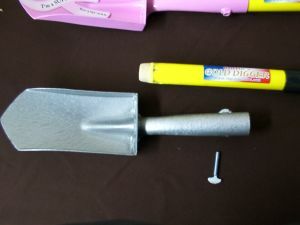 Here's a closeup of the front of the shovel. 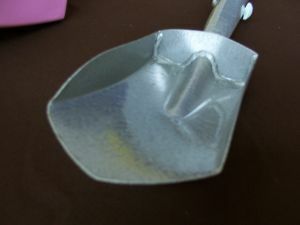 This picture shows the small shovel in the breakdown mode. It collapses to fit into a backpack. It can also be used as a scoop.